London based photographer Claire Huish captures the 'Drive' Ben Trovato exclusive editorial. This striking portrait series has a nostalgic vibe referencing a strong Oriental influence along with 80s imagery and wardrobe styling. Showing off pink-hued lighting and hazy filtering effects, these modern glamour shots exude femininity. Model Justine is both exotic and edgy sporting three different hair looks that range from sleek long locks to messy up-dos. The Drive Ben Trovato exclusive also references the popular Ryan Gosling film of the same name and substitutes electric hued neon lights with a blurred rosy glow. 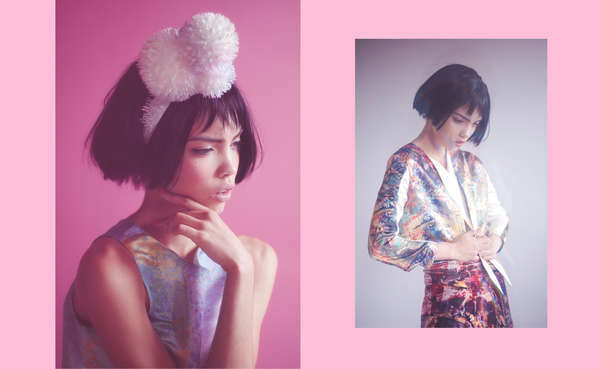 A modernized take on a traditional Japanese Geisha aesthetic, these pastel portraits reinvent a classic style icon for a new generation of fashion followers.